Average life expectancy when the VNA was established in 1898 was 47. 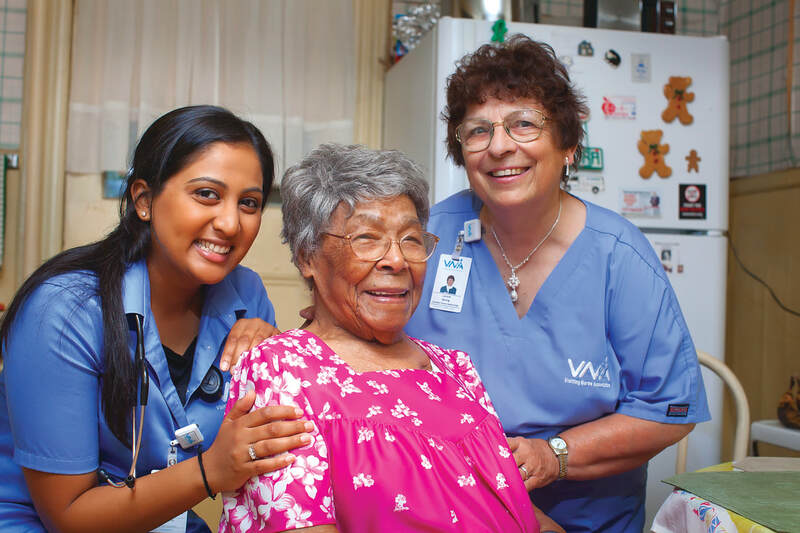 By the start of the VNA’s second century, it had increased to 77 and eldercare had emerged as a pressing community need. While longevity and the size of the nation’s senior population continue to rise, government resources devoted to senior services aren’t anticipated to keep pace. Most Americans would prefer to age in place. However, few are factoring the cost of home care into their retirement planning. Each day, the VNA encounters seniors who need a helping hand to realize their best quality of life. Many with chronic but treatable medical conditions and routine symptoms of aging aren’t eligible for Medicare home care benefits. Their options are flexible VNA Private Care Services or limited assistance via a safety net of grant-funded programs with eligibility requirements and availability that is subject to change. That’s why it’s imperative for those who haven’t yet reached retirement age to plan ahead for individual needs. The fastest growing segment of the VNA’s client population is age 80 and above. At 105, Cora Jiggitts is both its oldest client and a member of the nation’s burgeoning population of centenarians. Cora is in remarkably good health and continues to live independently. However, with no family nearby, she must rely on a long-time friend and neighbor for help. For the past five years, she has also received certified home health aide visits provided through the Morris County Office on Aging’s Community Home Health Aide Program (CHAP) for seniors living alone. At Cora’s advanced age, she’s realizing her goal of remaining in her own home with the help of VNA services. Cora Jiggetts, 105, pictured here with her nurse, Hina Patel (left) and aide, Lenore Buhrig, represents the VNA’s fastest growing demographic: area residents over age 80 who need long-term home care assistance.